Roll your way to five a day with Rollabowl, the stylish alternative to a traditional fruit bowl. 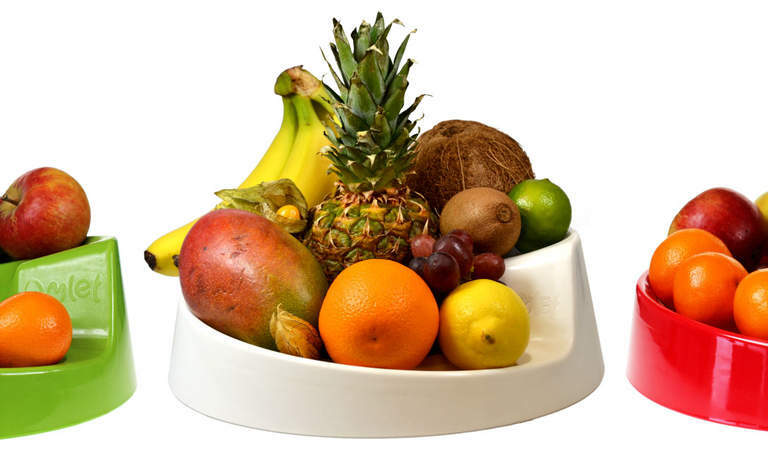 Keep all types of fruit stored in age order and separate your hard and soft fruits to maintain freshness. 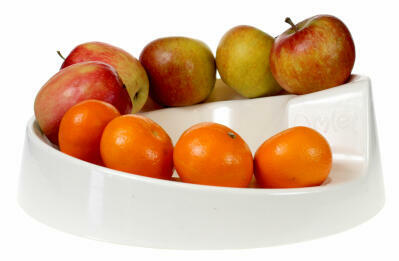 This modern melamine fruit bowl is available in four great colours to suit every home. See below for more information on the Rollabowl. 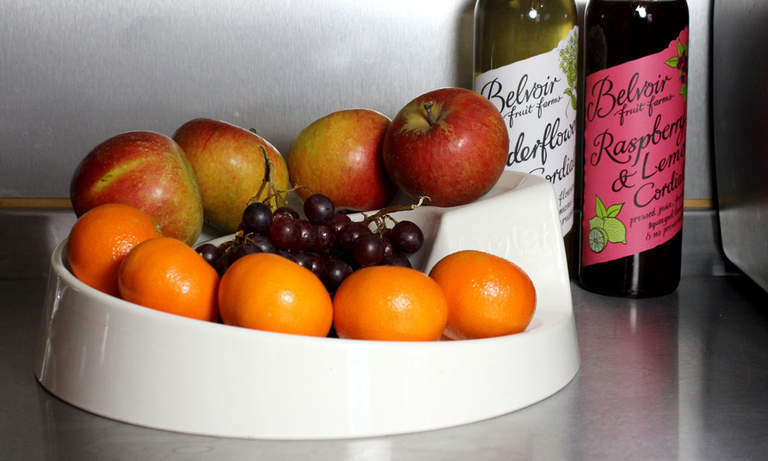 The Rollabowl is perfect for storing my fruit stylishly. It looks bright and modern and it's a real talking point. 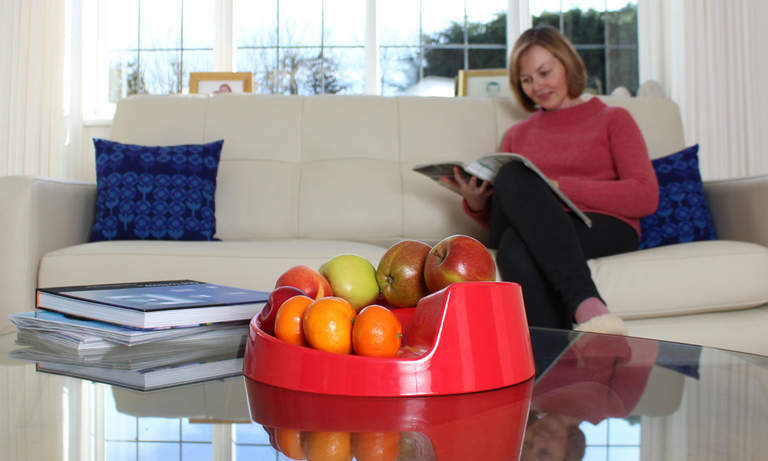 A Green Rollabowl fruit bowl makes a great centrepiece for the coffee table. Tired of your traditional fruit bowl? Looking for a new and stylish storage solution? 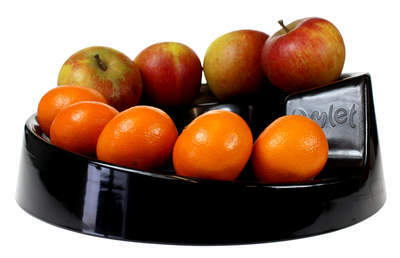 Choose Rollabowl - the fun, fresh and functional answer to displaying fruit. 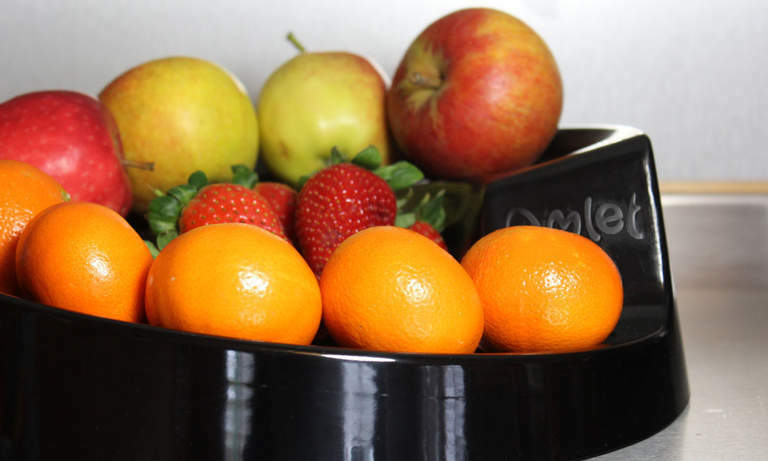 Brand new, by Omlet designers that are bananas about fruit, the Rollabowl will look fabulous in your home, whatever the style. Whether you choose to keep it in the kitchen, living room or dining room, your new accessory will make a feature of your everyday fruit. Available in four bold colours, you'll find one to suit your surroundings. Make a statement with a Rollabowl in ripe strawberry red or zingy zesty green, or keep things modern with simple black or cream. 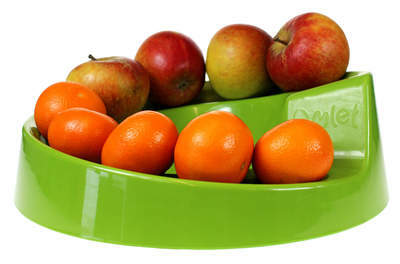 Not only does the Rollabowl look modern, but it provides an innovative approach to storing fruit. Part bowl, part ramp, this is a fresh fusion of a product to keep fruit in top form. Separate your soft and hard fruit by utilising both spaces, and your delicate peaches and boisterous melons can live in harmony. Simply stack your soft fruit on the ramp and pop the heavy fruit in the dipped centre, or reverse it! The hollow makes a comfy home for a pineapple, mango or bunch of grapes, and the outer channel is ideal for apples, satsumas and nectarines. But, it doesn't have to stop at fruit... why not fill will nuts, chocolates or other treats on special occasions? 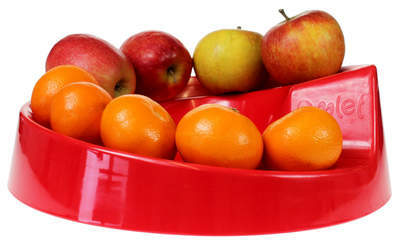 A Red Rollabowl fruit bowl on a coffee table. Our design team are a clever bunch and they know that fruit bowls can sometimes get sticky. That's why the Rollabowl is made from 100% melamine for quick and easy cleaning, and it is completely stain resistant. There's no need to worry about damage from heavy fruits or clumsy hands because it is extremely durable, and the three non-slip pads on the base will make it 'berry' unlikely to slide off your coffee table with an over-vigorous grab for the grapes. 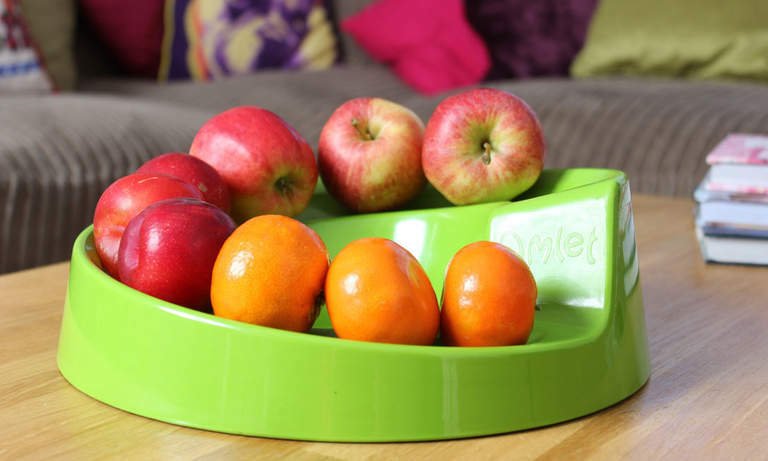 The Rollabowl is a fun and functional piece of design for fruit fans, and fantastic for encouraging all the family to roll their way to five a day. 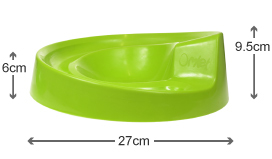 Having initially ordered this because of the colour what really impressed me was the quality of the Rollabowl. It feels very solid and stable and looks attractive when the fruit is in it. Bought one of you fruit bowls and very impressed keeps fruit longer and is a beaut table piece (Classy). This is a fruit bowl with a difference. I have the Black and goes with anything. Easy to clean and a talking point. Fruit stays fresher.